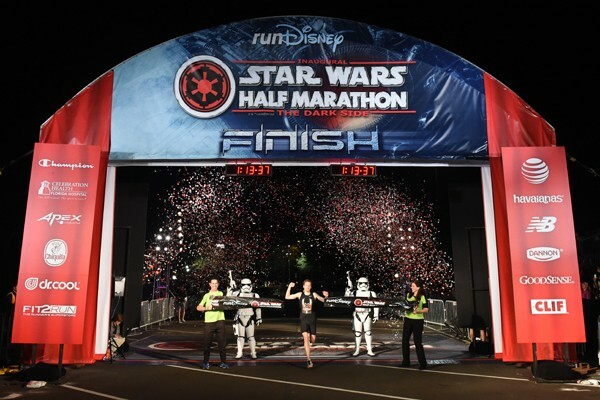 Last summer runDisney announced the inaugural STAR WARS HALF MARATHON – THE DARK SIDE would take place at Walt Disney World. The event was held this past weekend, and more than 43,000 runners took part in the races that included Stormtroopers, Sith Lords, and Bounty Hunters. Runners who also completed the Light Side Star Wars Half Marathon at Disneyland earlier this year received a special “Kessel Run” medal for their achievement. 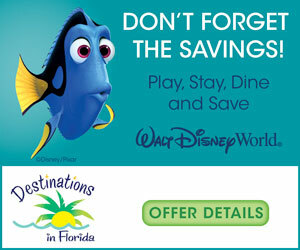 Continue reading for more details and results from runDisney’s press release. After finishing second at the runDisney Star Wars half marathon at Disneyland Resort last year, Jason Ryf summoned even more of The Force on Sunday to win the inaugural Star Wars Half Marathon – The Dark Side at Walt Disney World Resort. Ryf, 45, from Oshkosh, Wisconsin won the 13.1-mile race through Epcot, Disney’s Animal Kingdom and Disney’s Hollywood Studios in 1:13:39. Marc Burget of Jacksonville, Florida was second (1:14:38) and Chris Trebilcock of Tampa, Florida was third (1:15:27). Katie McGrath was the first female runner to cross the finish line, covering the course in 1:24:05. Elizabeth Meadows-Harland of Nashville, Tennessee was second (1:26:36) and Kim Hunger of Antelope, California, was third (1:28:36). Top male and female finishers, Jason Ryf, 45, from Oshkosh, WI and Katie McGrath, 31, from Oakdale, NY post with First Order stormtroopers at the finish line of the inaugural Star Wars Half Marathon – The Dark Side at Walt Disney World Resort, image courtesy runDisney. For Ryf, conquering the race from a galaxy far, far away held a lot of sentimental value. Ryf said he grew up watching the Star Wars saga and is a real fan of the franchise. He finished second at the inaugural Star Wars Half Marathon at Disneyland Resort in 2015 with a time of 1:10:56. His time Sunday was a tad slower, yet he managed to land in the winner’s circle. The race was the newest addition to the runDisney series which involves nine races at Walt Disney World Resort, Disneyland Resort and, for the first time later this year, Disneyland Paris. The next runDisney race weekend is the Tinker Bell Half Marathon Weekend presented by PANDORA Jewelry (May 5-8) at Disneyland Resort. 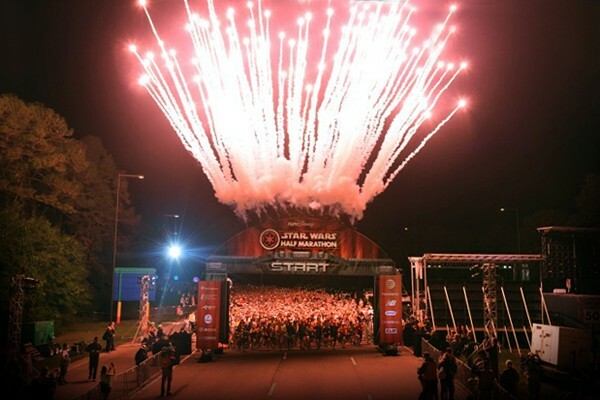 Start of the inaugural Star Wars Half Marathon – The Dark Side at Walt Disney World Resort, image courtesy runDisney. The Star Wars Half Marathon – The Dark Side involved several family-friendly events, including a Health and Fitness Expo with the latest in fitness apparel, running gear and high tech gadgets, the Star Wars 5K, the Star Wars 10K and the Dark Side Challenge, which involved running the 10K and the half marathon on consecutive days. There were also Star Wars characters along the course and opportunities for runners to pose with them before and after the races.